Hallmark Hotels are celebrating the 70th anniversary of the NHS by offering NHS staff a free night’s stay till Christmas Eve 2018. The hotel chain has 22 hotels where NHS staff can stay for free for the remainder of 2018. Many of these hotels have spas, golf courses and great restaurants to dine in. The offer will be valid until Christmas Eve 2018, and the free overnight stay can be taken any Sunday evening when NHS staff spend £50 on food and drink in the hotels’ bars and restaurants. Take for example, the hotel in Manchester you can stay at is the Hallmark Hotel in Wimslow, Cheshire not far from the airport. 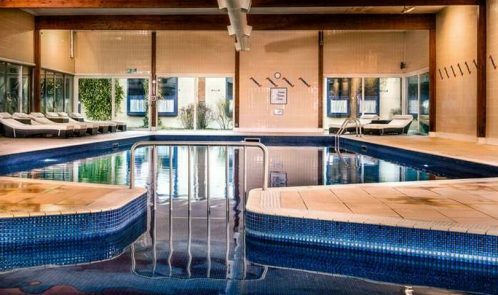 The Hallmark Hotel Manchester has a leisure club for staying guests with a 20 meter indoor pool, Swedish sauna, steam room and jacuzzi. Hallmark also has hotels in Glasgow, Cambridge, London and more. “This month marked a momentous anniversary for the NHS and Hallmark want to reward the deserving staff all year round,” said Michelle Anderson, head of marketing at Hallmark Hotels. To book online and find out more head to the Hallmark Hotels website .